In response to the tragic civilian deaths of at Stamford, a Superhuman Registration Act was passed forcing vigilantes to surrender their identities to the U.S. government or risk criminal charges. 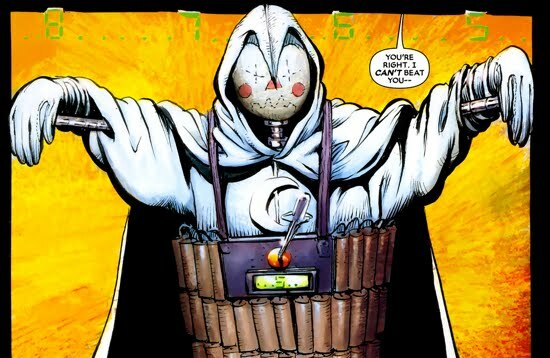 Marc Spector, also known as the heroic vigilante Moon Knight, decided to obtain his registration card in order to become a fully sanctioned hero. Unfortunately for Spector, this status quo did not last long. His old nemesis, Black Spectre, framed him for a series of murders forcing Tony Stark to revoke the Moon Knight's registered status. This prohibited Spector from continuing his crusade as the Moon Knight, but, of course, Spector did not care. The Moon Knight went as far as killing the Black Spectre in front of a crowd of Superhuman Registration Act supporters. 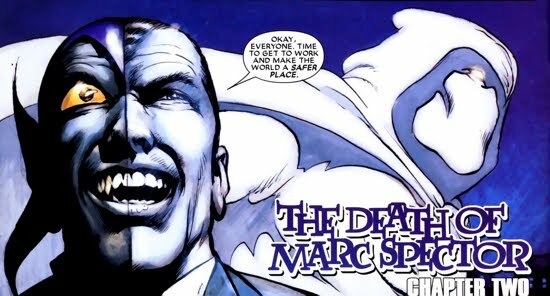 This direct act of defiance for the law set the Moon Knight on a collision course with Norman Osborn's Thunderbolts in a story arc entitled The Death of Marc Spector. At the onset of Moon Knight V3 #21, Marc Spector had already been forced into hiding as Tony Stark and S.H.I.E.L.D. were actively pursuing him. But Spector did not stop his war on crime and Stark's inability to track down the Moon Knight forced the C.S.A. 's hand. Under the order of C.S.A. representative Sikorsky, Stark and the rest of S.H.I.E.L.D. were relieved of their duties on the Moon Knight investigation. Sikorsky wanted to take a more drastic step to ensure the Moon Knight's detainment. Enter: Norman Osborn and his Thunderbolt team. 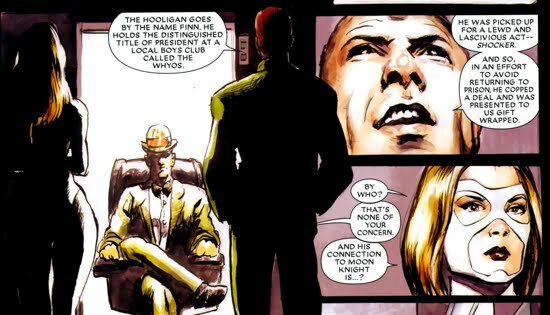 Norman briefed his team for their newest target in Moon Knight V3 #22, and it became immediately obvious why Norman was so excited about this particular target. Osborn explained to the team that this was a 'high-visibility mission, an opportunity to win public support'. Osborn, the PR manipulator extraordinaire that he is, saw this as a chance for his team to redeem themselves from their recent public blunders. Most notably, their attempts at taking down American Eagle. 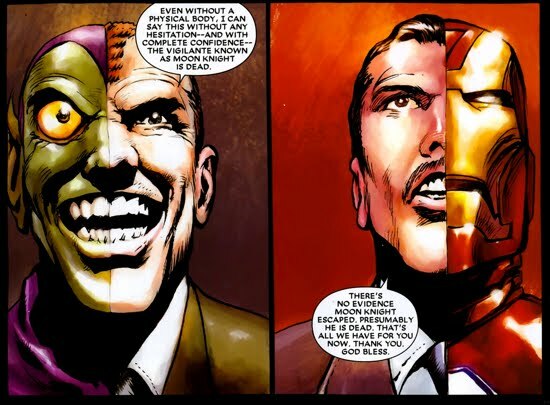 As added bonus, Osborn now had the opportunity to make his (second biggest) nemesis, Tony Stark, look like an inept fool...an immense reward in-and-of itself, which kept a smile glued to Osborn's face. 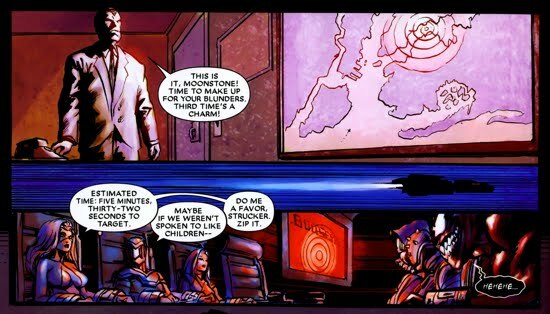 Shortly after the briefing, the team began their search for the Moon Knight and were eventually able to track him. They caught him while he was out on patrol, but the Spector proved too slippery. He managed to bait Venom into setting off a stack of propane tanks and the resulting explosion allowed Spector to escape. Despite being badly wounded from their attack, Moon Knight found his way safely to one of his underground fortresses. The Thunderbolts reported their failure back to Osborn, who was none-too-pleased. But Osborn always has a back up plan. Since the Thunderbolts' direct attack on Moon Knight was fruitless, their next strategy was to draw him out of hiding and then trap him. 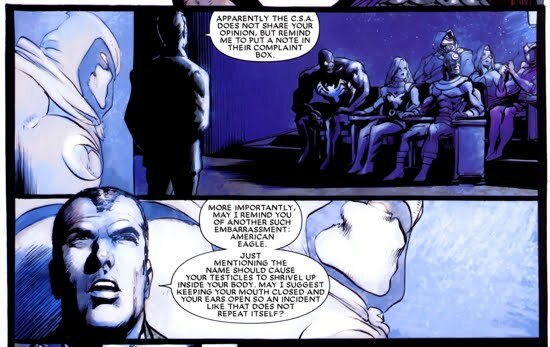 In Moon Knight V3 #23, roughly two weeks after they began their mission, Osborn's patience ran out. He decided to send a group of street criminals known as the Whyos (who just recently cut a deal to avoid prison, thus they are in Norman's employ) to attack and injure the lover of Spector's comrade, Frenchie. Moon Knight eventually caught up to the Whyo gang, which allowed Venom and the rest of the Thunderbolts to find Moon Knight. The Whyo's attack drew Spector out of the proverbial wood-work and in Moon Knight V3 #24 the Thunderbolts had the vigilante cornered. But the team failed to operate quickly (and smoothly for that matter) and another distraction arrived. S.H.I.E.L.D. agents crashed the party and in the ensuing argument between the Thunderbolts and the S.H.I.E.L.D. agents over jurisdiction, the Moon Knight was able to escape both groups. 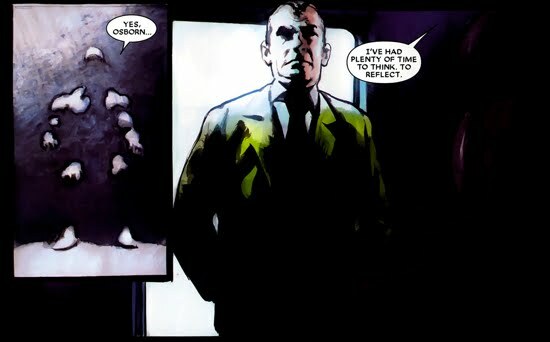 Disappointed and frustrated in another failed attempt, Osborn raised the stakes. He decided to send his ace-in-the-hole and number one assassin, Bullseye, to bring in Moon Knight. 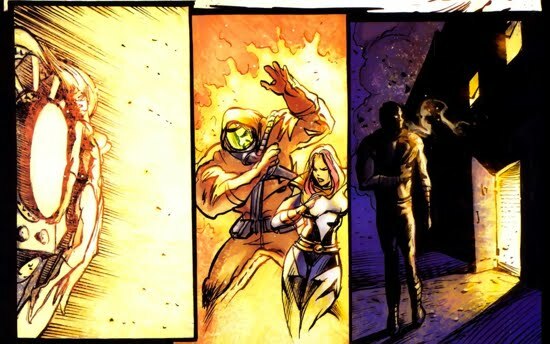 In Moon Knight V3 #25, Bullseye was hot on Spector's trail, and even appeared to have him cornered for the third time. But it was not to be, Spector cleverly lured Bullseye into a trap and the assassin soon found himself face-to-face with a Moon Knight-dummy strapped with dynamite. Moon Knight detonated the bomb (technically it was on a timer) as Bullseye barely escaped with his life and Both Norman Osborn and Tony Stark watched the mayhem occur from their respective headquarters, it appeared as though Moon Knight perished in explosion. 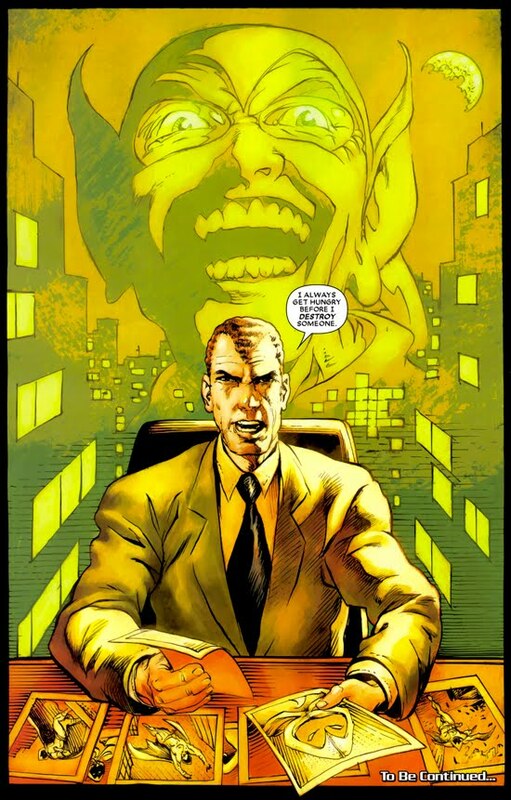 At a press conference shortly after Spector's 'death', Osborn claimed that Moon Knight was dead and that the public was now safe, despite not finding the vigilante's body. This scene was eerily similar to his claim regarding Spider-tracer killer at the conclusion of New Ways to Die. At a separate press conference, Tony Stark also declared the Moon Knight dead because there was no evidence for his escape. Sound weird? Check out this section for more details.